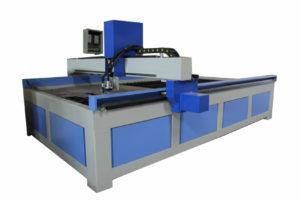 The future of SAW welding. 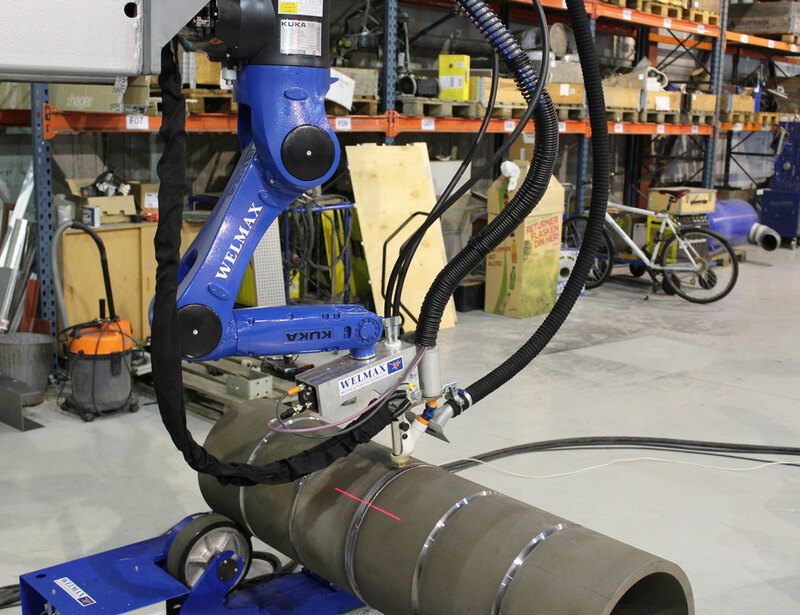 Fully automated welding column & boom. 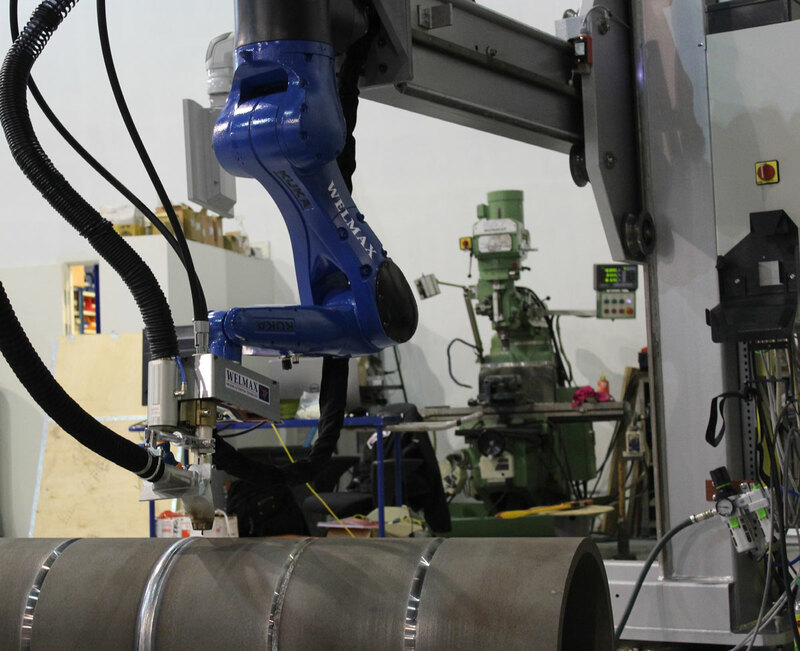 A robot mounted on a C&B with integrated axes for the purpose of welding a huge range of tank dimensions and adaptively scale the path and speed based on input dimension. 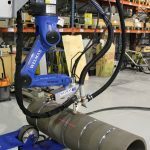 The flexible motion range of the robot enables one system to weld long seams and pipe connection seams with high quality. 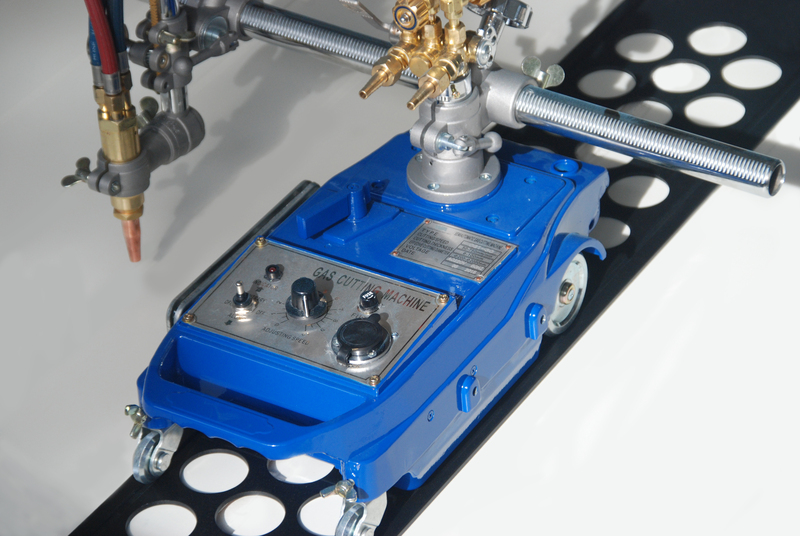 All assembled on standard welding column & boom, old or new. 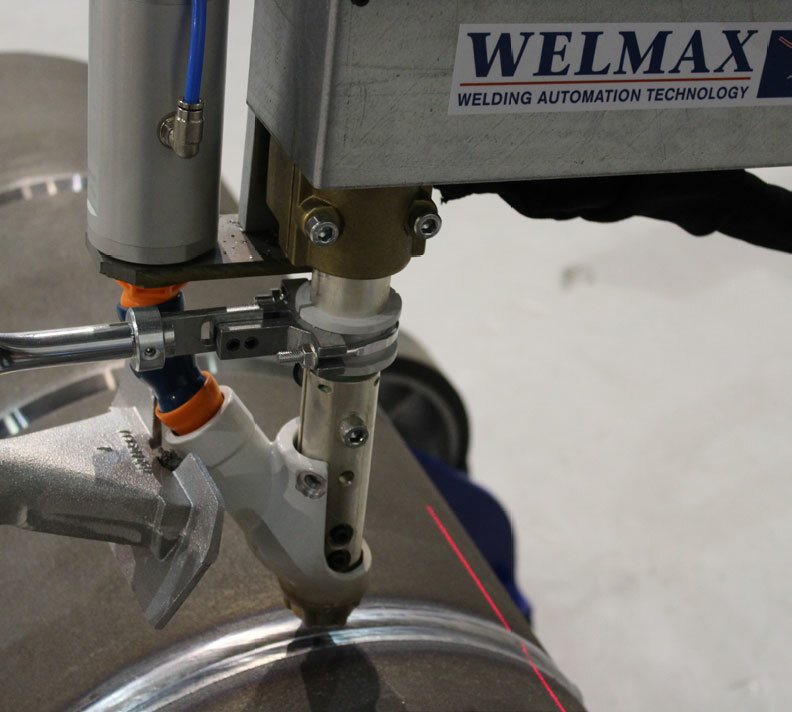 The Welmax ProControl features unique intelligent welding functions developed by Welmax. 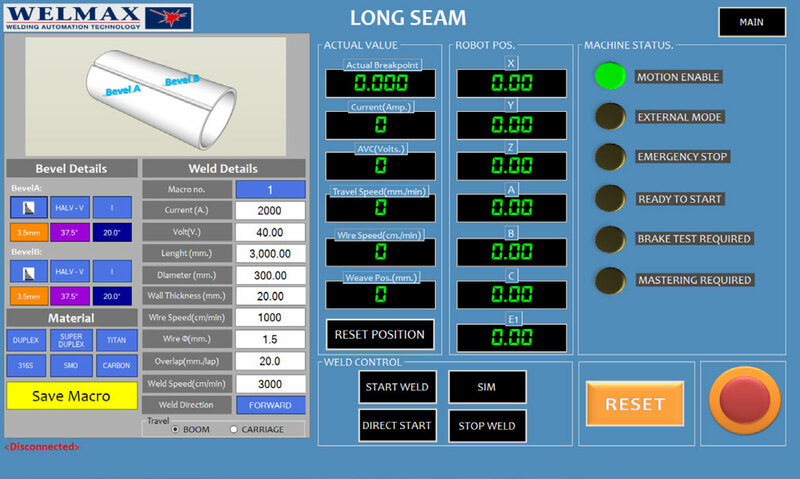 The operator can easily set the welding parameters or choose pre-set macros where you only choose pipe diameter, wall thickness, bevel type and pipe material. 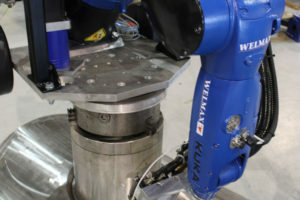 The 3D Laser scanner will find and measure the bevel and weld seam profiles, then performing live adaptive corrections during welding. 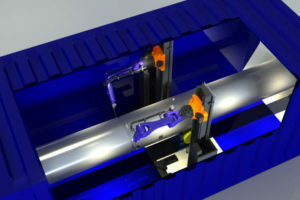 The laser system is mounted on the welding tool, providing feedback to the ProControl, ensuring precise positioning of the welding wire and reporting the position of slag in the seam for removal. 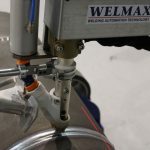 Using predictive algorithms and real-time measurements of the weld, the ProControl will scale the welding parameters automatically in order to properly fill-up seams and correct errors as needed. 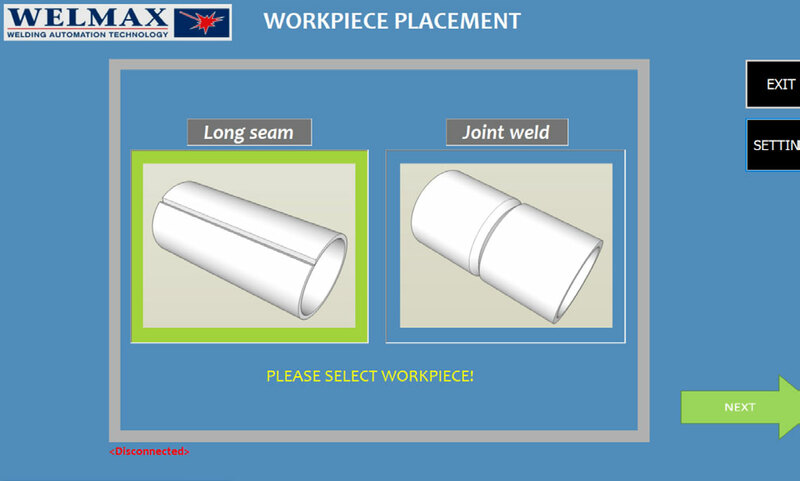 Welding seams from start to finish without the need for an operator to monitor the process and make adjustments during the weld. Example of how deviation will be corrected and layers planned during High-Low.